Asphalt can be recycled and used for construction purposes. This is not only an environmentally-friendly practice, and involves reducing voluminous costs. This recycles asphalt has found it use in various kinds of construction works. They can be used as foundations and flooring in the construction of silos. How is the recycled asphalt used? Recycled asphalt can be conveniently used for constructing the floor of a silo. Developers use a layer of recycled asphalt before adding a new layer of fresh asphalt. Due to the high density of the used asphalt, it forms a strong foundation. Problems like water seepage can be controlled with this tough layer. 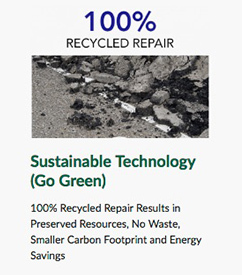 Asphalt is 100% recyclable. The recycled asphalt is added to paving mixtures as a binder and as a substitute. The recycled asphalt is mixed with the new asphalt and then used to construct a strong construction base. ‘Reclaimed Asphalt Pavement’ – This implies the pavement material that has been uprooted from the pavement and is used for recycling. It is composed of the aggregate material used for construction and is coated with asphalt cement. Chunks of asphalt are loaded into an asphalt recycler. The material in heated in the tumble recycler. After 20 minutes of heating, when the temperatures reach 300F, the mix is ready for use. This is 100% recycled asphalt. For using asphalt in a hot mix plant, the RAP chunks are crushed into finer pieces. A special collar introduces the RAP material into the plant and mixed with the other materials. About 30% of RAP in incorporated into the final binding mix. Recycled asphalt has environment benefits. It is also a huge cost saver and prevents the asphalt from going into landfills. Its addition increases the density of the construction material making it strong and tough. 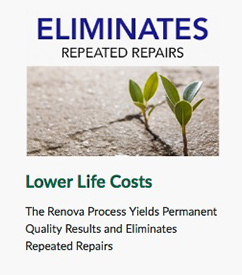 What are the cost benefits of recycled asphalt? 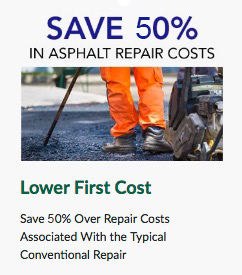 As per the findings of Asphaltrecycling.com, recycled asphalt is a huge cost saver for the local government. The savings amount to $30-$80 a ton. Contractors and municipalities recycle asphalt at $18/ton using a PT-PRO series Recycler. A hot mix costs $78/ton. Therefore, the saving is phenomenal at $60/ton. Hence, if a person uses 50 tons of asphalt for 30 days, he could save up to $90,000. These are absolute profits. Asphalt recycling also reduces oil consumption, mining, and quarrying and the potential costs associated with these activities. Material to produce virgin asphalt is scarce in a few areas and therefore, recycling could be a boon. Asphalt is the most recycled material in the United States. It has its benefits to the environment. Recycled asphalt reduces the huge wastage of land that goes into landfills. RAP is now increasingly being used in binding mixtures which can be used to construct parking spaces, bike lanes, roads and the grain storage silos. They form tough barriers with high density to prevent any sort of water permeation. They would be ideal raw material for silos by making the construction durable and cost-effective.